You are browsing the archive for 2019 March 11.
pursue a more fundamental policy shift. virginity meets no such interest. Nor does maintaining U.S.
jeopardized by another war on the peninsula. keeping South Korea as an American security protectorate. Venezuela today faces an existential crisis of its own making. forces have blocked its delivery at the border. rescue Venezuela? The short answer is no. elements of the Venezuelan government. More women entered the work force during the economically tough era, but the jobs they took were relegated as “women’s work” and poorly paid. From 1930 to 1940, the number of employed women in the United States rose 24 percent from 10.5 million to 13 million. The main reason for women’s higher employment rates was the fact that the jobs available to women—so called “women’s work”— were in industries that were less impacted by the stock market. 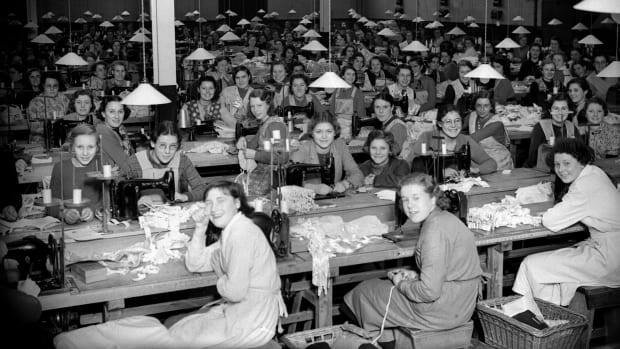 A large group of women working on sewing machines, circa 1937. By the 1930s, women had been slowly entering the workforce in greater numbers for decades. 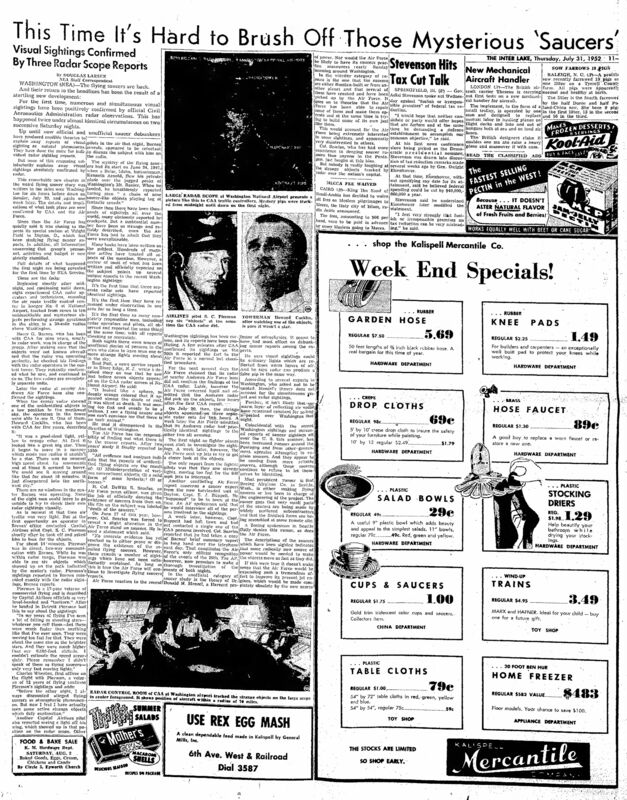 But the Great Depression drove women to find work with a renewed sense of urgency as thousands of men who were once family breadwinners lost their jobs. A 22 percent decline in marriage rates between 1929 and 1939 also meant more single women had to support themselves. While jobs available to women paid less, they were less volatile. By 1940, 90 percent of all women’s jobs could be catalogued into 10 categories like nursing, teaching and civil service for white women, while black and Hispanic women were largely constrained to domestic work, according to David Kennedy’s 1999 book, Freedom From Fear. The rapid expansion of the government under the New Deal increased demand for secretarial roles that women rushed to fill and created other employment opportunities, albeit limited ones, for women. READ MORE: Is Marriage History? Women during the Great Depression had a strong advocate in First Lady Eleanor Roosevelt. She lobbied her husband, President Franklin D. Roosevelt, for more women in office—like Secretary of Labor Frances Perkins, the first woman to ever hold a cabinet position and the driving force behind the Social Security Act. 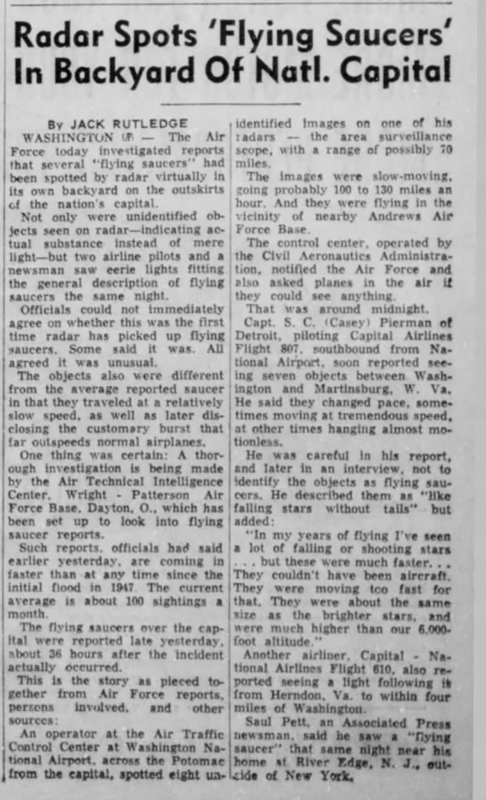 EXCERPT: ‘The Air Force today investigated reports that several “flying saucers” had been spotted by radar virtually in its own backyard on the outskirts of the nation’s capital. TO SEE THE FULL ORIGINAL MONROE NEWS-STAR STORY, CLICK HERE. 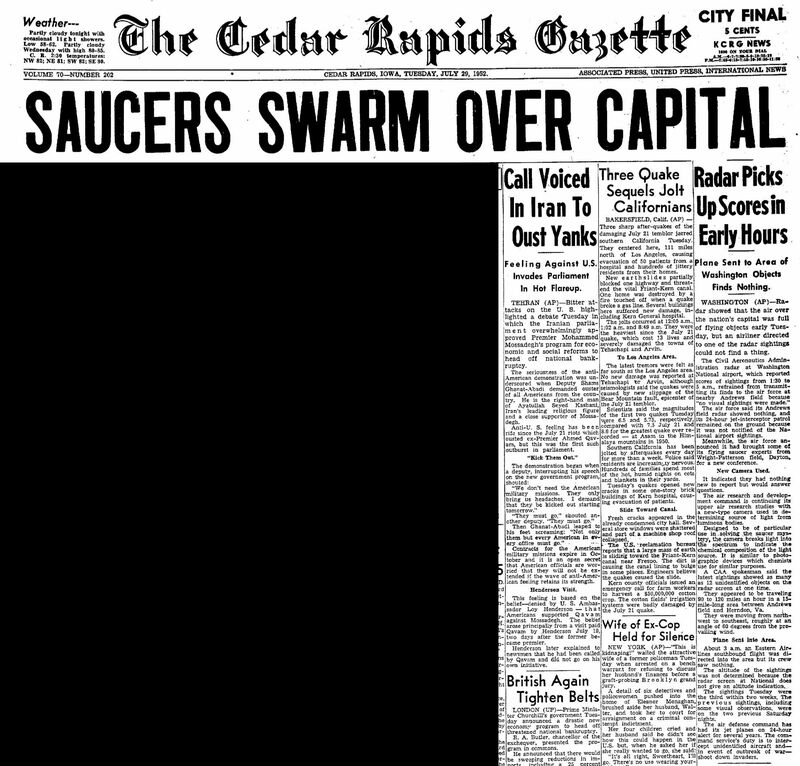 TO SEE THE FULL ORIGINAL CEDAR RAPIDS GAZETTE STORY, CLICK HERE.